Sometimes I feel like I have to pinch myself to make sure that I'm not dreaming. A lot of things have been happening, good things :) and I'm just feeling really super blessed at the moment for all the good response, love and support that aere has been getting since I started to work on it exactly 1 year ago. 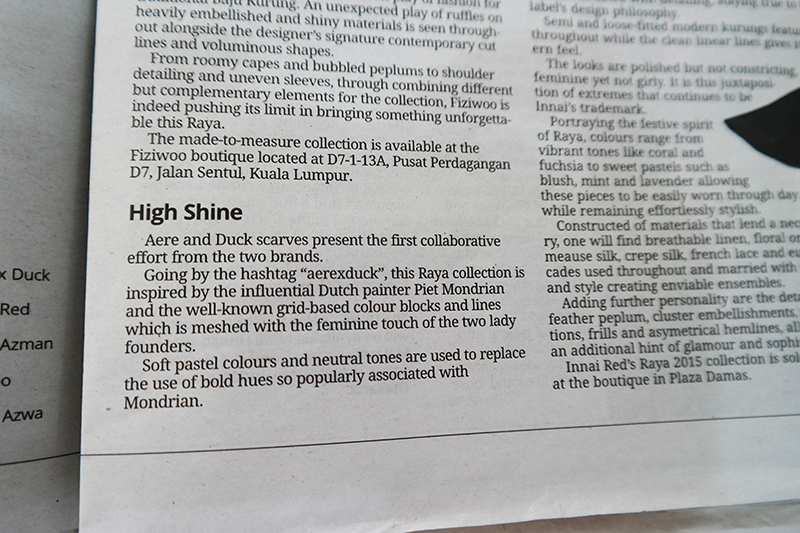 I'm also very humbled and grateful by the support by the media so far about aere x dUCk, aere's first collaboration ever with dUCk scarves. I was still on the high from the reviews and write-up which I recently blogged about in my posts In the Cosmos (Kosmo! ), The Sun on Pastel Dreams (the Sun) and aere in the Sunday News (Mingguan Malaysia). 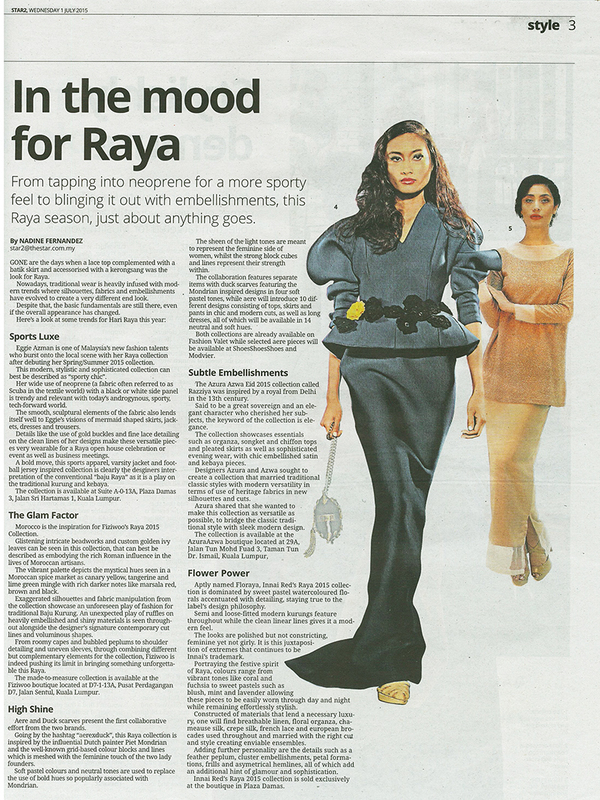 And I found out just before buka puasa yesterday that aere is featured in the Star newspaper. 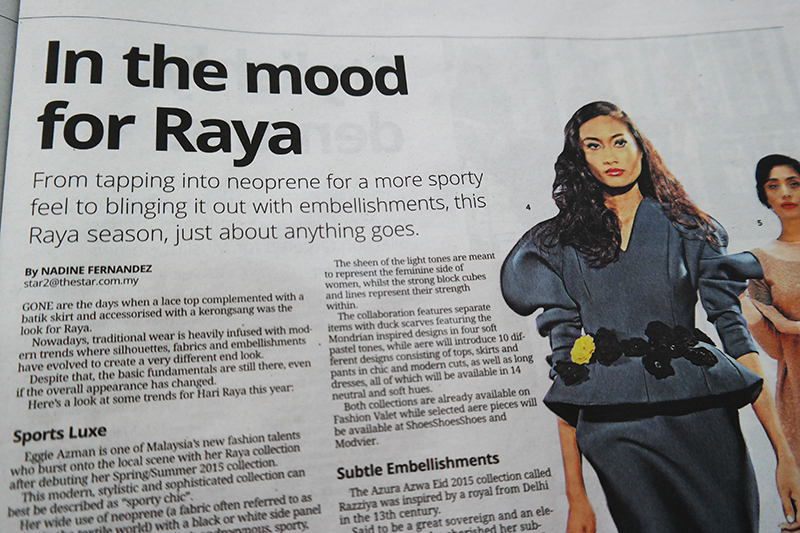 I was happy that the Star featured aere together with other Malaysian labels/designers I respect, look up to and adore. I am really tempted to get that blue raya outfit by Innai Red. It's gorgeous! You can read the article below. All praises to the Almighty. Alhamdulillah.